BRITAIN'S Sam Lowes has become the 2013 World Supersport Champion after finishing second behind rival Kenan Sofuoglu yesterday at Magny-Cours, with one round left of the season. The Yakhnich Yamaha rider only needed 2-points to secure the Championship win in France, but still fought with Turkey’s Sofuoglu and Chrisitan Iddon for the race win until a red flag was brought out on the last lap declaring Sofuoglu the winner. Lowes said: “Sometimes it's nice to be in a battle and take your mind off the bigger picture. I enjoyed that race a lot and it was nice to see Christian (Iddon) riding well, which bodes well for next year. “I'd like to say thank you to Kenan, he is a great champion and great rider. I class him as a friend now and it has been a good season so thanks to him for the fight. There are a lot of people to thank but they know who they are. Lowes has achieved five race wins and five second places, and finished almost every race this season, with only one DNF due to technical reasons. 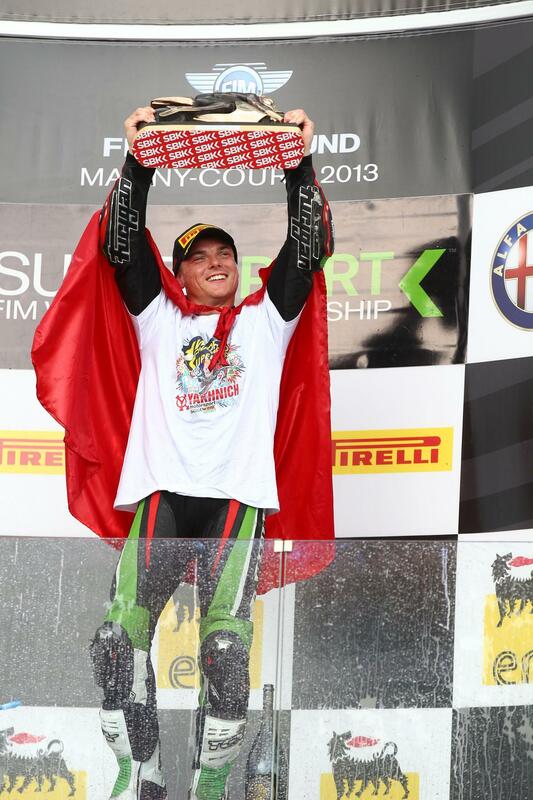 The 23-year-old has brought huge success for the Russian-based Yakhnich Motorsport in their second WSS season.